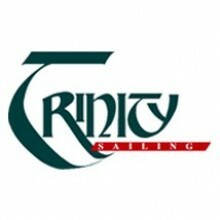 Trinity Sailing is a Brixham-based charity which operates three historic gaff-rigged vessels, carrying out a mixture of youth sail training voyages, RYA courses (up to Day Skipper level), Duke of Edinburgh Award experiences and adult charter cruises. Our smallest vessel, Golden Vanity, a gaff cutter build in 1908, operates with a skipper, mate and up to 7 trainees or guests. She is based in our home port of Brixham and offers voyages along the south coast and within the English Channel, delivering enjoyable and challenging sailing experiences to people of all ages and backgrounds. We wish to recruit a skipper for Golden Vanity for the 2019 sailing season. A national of another country with suitable documentation that allows them to take paid employment in the UK, and also travel to EU countries, also with a minimum of 1 year validity on the passport. Boat descriptionGuest bunks for 10 or 11 or 7 Crew bunks for 4 or 5 or 2 (we have three vessels) Communal saloon area for eating/relaxing She is not fast, but is beautiful, old and comfortable in a seaway. We are coded through the RYA for Commercial Cat 2 operations under MGN280, and have all the Nav kit you would expect, GPS, GMDSS VHF Radar, Plotter,etc.